Boston Strong: An Evening of Support and Celebration to be held at the TD Garden on Thursday, May 30, 2013. Net ticket proceeds of this historic concert will benefit The One Fund Boston, set up by Massachusetts Governor Deval Patrick and Boston Mayor Thomas Menino to help the people most affected by the tragic events that occurred in Boston on April 15. 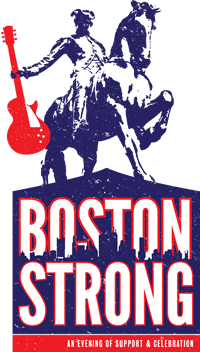 "Boston Strong: An Evening of Support and Celebrationwill feature (in alphabetical order) Aerosmith, Jason Aldean, Boston, Jimmy Buffett, Dane Cook, Extreme, Godsmack, The J. Geils Band, Carole King, New Kids on the Block, James Taylor, and Steven Wright. Additional artists will be announced. Live Nation and TD Garden have hosted thousands of concerts over the years, but none with such a sense of purpose as Boston Strong: A Concert of Support and Celebration. said Don Law, President of Live Nation New England. Boston is a city with strong roots, and homegrown artists reached out to us to see what could be done. We are proud to help solidify this huge concert line-up. said Donnie Wahlberg, New Kids on the Block. Hopefully this event will not only raise money, but spirits as well. said Amy Latimer, TD Garden President. This is an important community gathering to celebrate the amazing spirit of this city, Boston Strong. Tickets are priced from $35 to $285. Prices include all fees and service charges. Information on special sponsor tickets which will include commemorative items, reserved parking, and other items will be available on www.ticketmaster.com and www.livenation.com/vip. Many exciting things are moving forward as we head into spring 2013. Tom is buried in the studio, lovingly coaxing his legacy analogue equipment to bear with him just a little longer while he wraps up the mix of his latest song, "Someday." Although he has listened to it more times than he cares to count, he is still very excited about it, saying, "This final song might be the title track for the new BOSTON studio album; it reminds me of the up tem...po rockers I wrote for the debut album over 30 years ago." With a little more tweaking, then some re-tweaking, then a tad more tweaking, Tom says the new album should be ready for release by mid year ... that would be mid year 2013. "After completing this mix I only need to redo vocals on a couple of the cuts, remix them, and sequence and master the album. After working on this project for over 10 years I can finally see light at the end of the tunnel," he says. Tom plans to start work on the long awaited BOSTON live DVD as soon as the studio album is finished. Meanwhile, in other cool news, Gibson is honoring Tom and his original Les Paul with a limited edition Gibson Custom Collectors Choice guitar. (His is #10.) From Gibson: "If you've ever listened to the music of the legendary rock band BOSTON, then you've already heard the latest Collector's Choice Les Paul. In its own right, this example of a 1968 Goldtop (now with the top stripped off the original finish to expose its maple top) is an amazing instrument; a nice, "cheeky" neck, a flexible tone palate via Tom's preferred P-90 and DiMarzio Super Distortion pickup combination, and a patina that comes from a lifetime of extensive live and studio use. One of two in Tom Scholz's collection, this particular '68 Les Paul Goldtop Deluxe is the first 'real' guitar Tom ever owned, acquired over 30 years ago and essential to his very unique sound and career." Tom Loves the attention to detail that was apparent in duplicating his guitar. He says, "The precision with which Gibson has replicated the physical properties of my original Les Paul is astounding. This guitar feels and plays exactly like my guitar, and the resemblance to the original is uncanny. But most impressive is that it actually sounds like my guitar! I'm really humbled that such an elite shop would go to so much trouble to reproduce the guitar I play." Tom says he will donate all the proceeds from his royalties on the sales to charity. 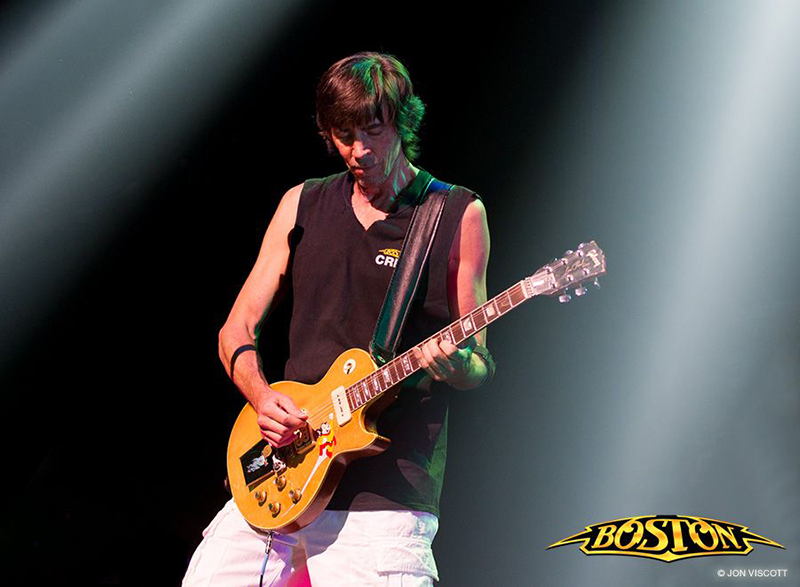 Check gibson.com for details on purchasing your own Tom Scholz Les Paul. Visit www.bandboston.com for more updates. Tom has his own named Gibson Les Paul! Gibson Custom is proud to announce the sales launch of Collector s Choice"! #10, original serial #529263 (1968 Les Paul Goldtop). guitar Tom ever owned, acquired over 30 years ago and essential to his very unique sound and career. As an accomplished sound Engineer, MIT graduate, inventor and holder of over thirty patents, Tom Scholz, not surprisingly, has modified the original. At Tom s request, Gibson Custom has recreated it as he used it on the first BOSTON album, after the addition of the humbucking pickup in the bridge position and the removal of the original gold finish. The limited edition, Collector s Choice #10, represents the guitar whose tone turned heads when BOSTON first exploded on to the rock scene in 1976, with their inaugural album BOSTON. And of course, every curve, output measure, ding and scratch has been studied for accuracy by the Gibson Custom Shop, verified by Tom Scholz and brought to you in incredible detail. After carefully examining the final prototype Tom had this to say: "The precision with which Gibson has replicated the physical properties of my original Les Paul is astounding. This guitar feels and plays exactly like my guitar, and the resemblance to the original is uncanny. But most impressive is that it actually sounds like my guitar!" Available in a limited run of only 300 guitars Worldwide, each hand aged by the skilled craftspeople of the Gibson Custom Shop. Limelight Magazine is pleased to announce that BOSTON will receive the Legend Award at this year s fifth annual Limelight Magazine Music Awards ceremony that will take place at the Rock Junction in Coventry, R.I., on Saturday, March 16, 2013. 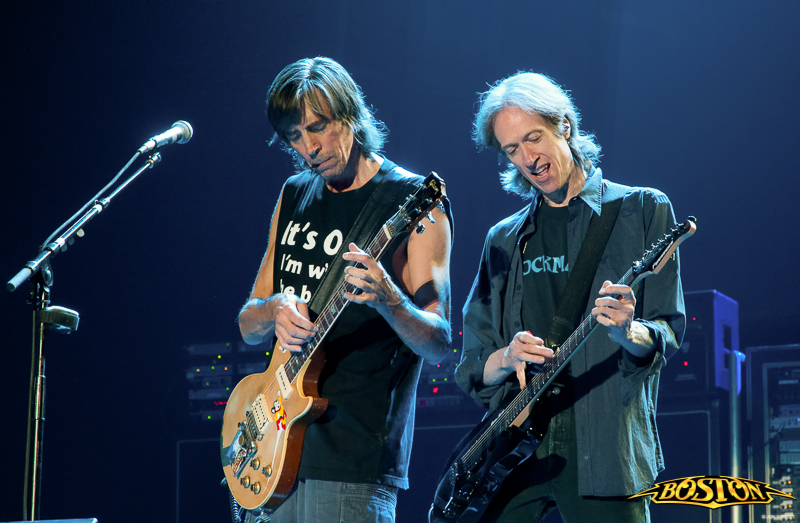 There have been numerous talented musicians touring with BOSTON over the years, but the one constant alongside Tom since 1985 has been Gary Pihl, whom Tom views as indispensable to the band s live performances. said Jay Kenney, who co-founded Limelight Magazine in October 2007. When we solicited nominations for the Legend Award in early January, the overwhelming majority recommended BOSTON. We are very pleased to present this award to them this year. The Limelight Magazine Music Awards honors bands and musicians from New England who were selected by readers of the magazine in an online poll. This year s event will be hosted by singer-songwriter Sarah Blacker. Performers scheduled to appear are Samuel Bowen and Blue Cat Groove, Jeff Byrd and Dirty Finch, Fly Kite Canvas, Brianna Grace, The Great Escape: A Tribute to Journey, Ashley Jordan, Satellites Fall and Carlin Tripp. Scroll down to view the gallery. Kidz b Kidz (KbK), a non-profit organization, put together a special "Art Party" event for patients at Miller Children's Hospital on Friday afternoon. This was the first West Coast event for the organization and they brought along David Victor, singer-guitarist for the band Boston who performed for the kids and colored with them too. The event allows children and their families to create art that is used for "Products with a Purpose," a series of high-end product lines available in stores and online sold to support pediatric medical research and KbK educational programs. Weekend Songs: Boston, "More Than a Feeling"